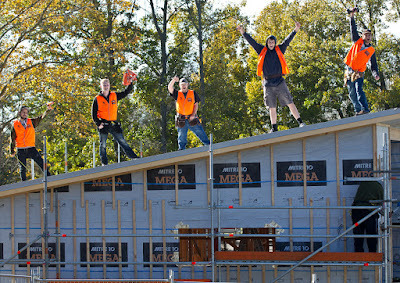 Celebrations went through the roof at Waiariki Institute of Technology with the latest development at the Charity House. It is the third house to be built by the institute’s carpentry, electrical and interior design students, and will be auctioned after its completion in early December. Proceeds will be distributed by the Rotary Club of Rotorua Sunrise, NZ to community groups. 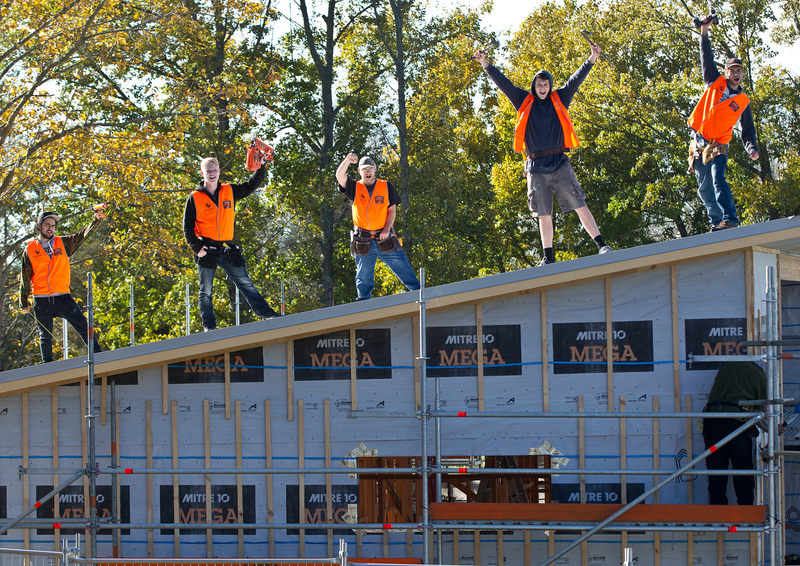 A roof shout was held at the construction site mid-June which was combined with the Rotary Club of Rotorua Sunrise cheque presentation to recipients of last year’s auction proceeds totalling $13,800. Students, staff, partners and community groups attended. The Rotary Club of Rotorua Sunrise president Mike Bannister said it was always good to work with Waiariki for the benefit of the community. Big Brothers Big Sisters Rotorua Darryl Parker said the funds will be used to support their mentoring matches which cost $1,000 so it is a great help to support two matches. Rotorua Children’s Art House Alan Solomon said the funds are for materials for the kids with the art pilot programme at the Art House. Love Soup Rotorua Gina Peiffer said the funds would be used to buy a 4.5m dome enclosure and a 3x3m service tent for when they need to serve outdoors. Carpentry tutor Tony Perks said the students were working hard on this year’s mono-pitch, Dutch coastal-style house that is a more energy efficient house.